Snowstorms cancel flights all across the U.S. this week? 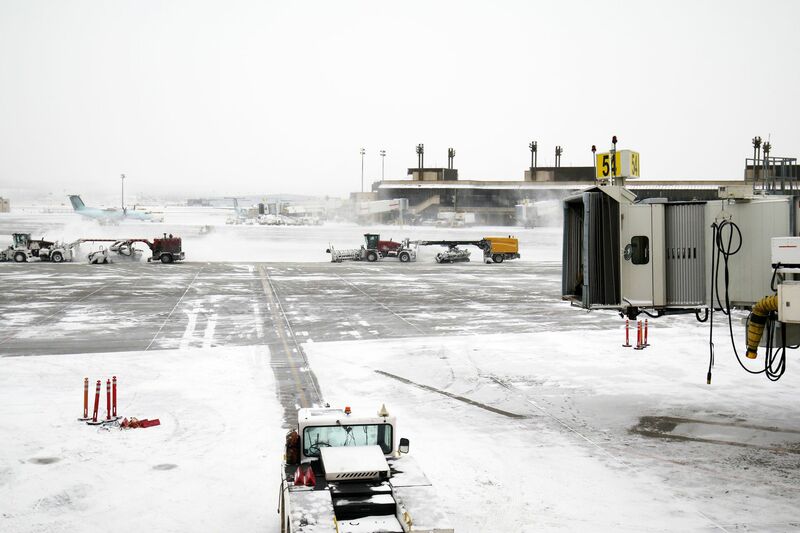 Be aware that the U.S. National Weather Service is predicting heavy snows this week in the Midwest and that as a result, snowstorms cancel flights (actually hundreds of scheduled flights, creating disruption of flight schedules), all across the USA. The snowstorm has been labeled “possibly historic” which never sounds good after the winter and spring we have already experienced in 2018/2019. The National Weather Service (NWS) has issued blizzard warnings for six states: Colorado, Kansas, Wyoming, Nebraska, South Dakota, and Minnesota. The storm could bring record-breaking amounts of snow (potentially up to 30 inches) to parts of the Midwest. These conditions should be expected to continue through Friday, April 12th, 2019. The NWS is also urging drivers and travelers to stay off the roads and avoid unnecessary trips. Storm warnings are in effect from Utah to Illinois. This issue highlights the current problem we have in the USA with cheap “non-refundable” tickets from airlines seeking to offer the lowest prices possible. Having good trip cancellation insurance is one way to help protect your investment. Ticketed air travelers should check directly with their airline to confirm their flight status. There are some exceptions to current airline’s non-refundable policies. See https://www.nbcwashington.com/news/local/Major-Airlines-Non-Refundable-Ticket-Policies-437978953.html for an example. We always encourage you to use a travel agent when booking trips or flights as well as read the fine print carefully to make sure you are in agreement BEFORE purchasing tickets online. Also understands that Trip Cancellation Insurance must usually be bought within 10 days of your initial trip purchase. You cannot wait until a week before your trip, then find out something may happen to put your trip at risk, AND THEN buy trip insurance protection. Realize that without Trip Cancellation Insurance, you may not receive vouchers for hotels, meals, etc. as a result of cancellations due to weather. You will not receive any compensation or sleeping accommodations from the airline for the cancellation since it was what is considered an Act of God outside the carrier’s control. You can also call us at (866)636-9100 toll-free or live chat with us at https://lc.chat/now/9935045/ for help and to get answers to your questions. 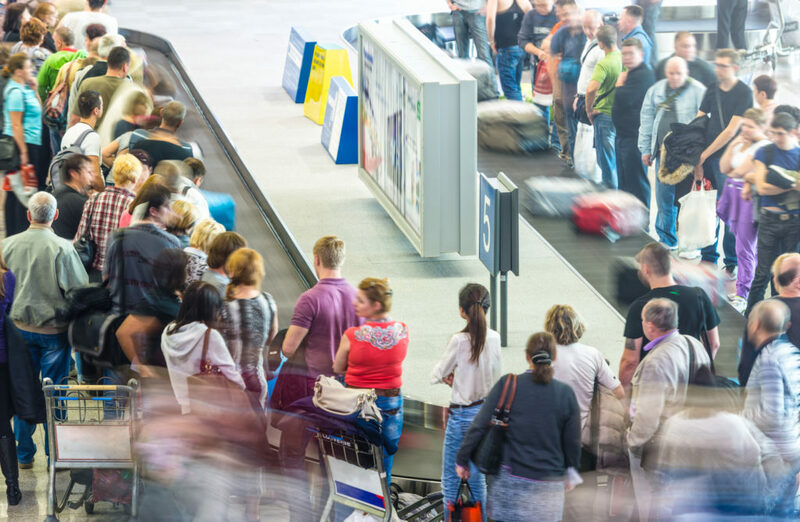 Airlines will generally waive any ticket change fees and allow flights to be rebooked within up to seven days from the originally scheduled date. The NextFlight app (for Android and iOS) IS ONE WAY YOU CAN EASILY CHECK ON FLIGHTS IF STUCK AT A DESTINATION. See more about this story at https://www.travelandleisure.com/travel-tips/travel-warnings/midwest-winter-storm-causing-cancelled-flights-and-travel-warnings. Great number of people getting luggage from conveyor belt at airport as snowstorms cancel flights across the USA, 4/10/2019.